detox patch | Badudets Everything Nice! Saizen has recently opened a new branch in Trinoma inside True Value. I got excited for everything Japanese so I immediately went inside and browsed through their products. One thing that caught my attention in the Health and Beauty section is the variety of detox foot pads available for only Php 85 each. 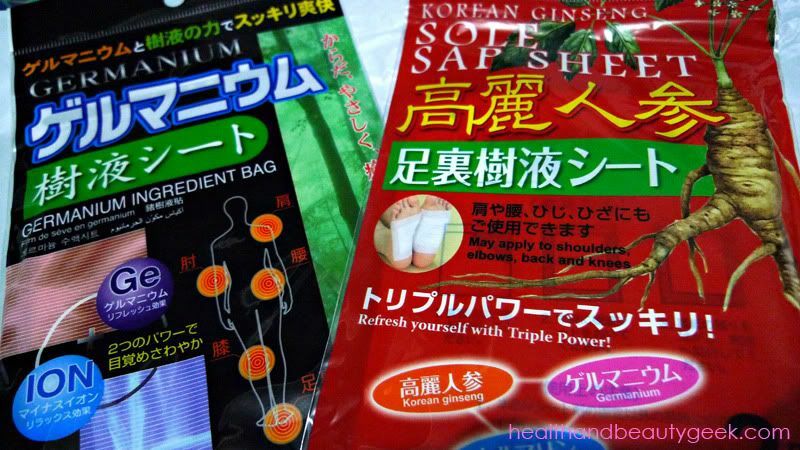 I’m familiar with these detox foot pads because my mother used a similar product before called Kinotakara pads, also from Japan, and believes on the efficacy of the product. Detox foot pads or foot patches are used to cleanse the body from toxins and wastes through the principle of reflexology. Our feet has the most nerve endings and reflex points and is therefore the best part to use the sap sheets. Overnight, the foot pads will purify the body. It relieves fatigue, joint pains, migraines, headaches, promotes better sleep and relieves the body of heavy metals. My mother used these foot pads before to get rid of her arthritis and it worked. I bought 2 samples of the detox pads or sap sheets and use this on my husband Jeff aka my guinea pig.